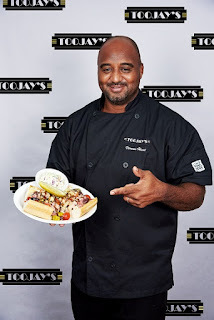 WEST PALM BEACH (July 31, 2018) – No dish is more versatile than the sandwich and no restaurant does sandwiches better than TooJay’s. Serving 1.5 million sandwiches a year at its 28 restaurants throughout Florida, the New York-style deli is celebrating National Sandwich Month by adding a tempting new sandwich created by an employee and two equally irresistible sandwiches, all available through September 16. TooJay’s received the 2018 and 2017 Dining Award for Best Deli from Orlando Magazine, two Foodie Awards for Best Deli and Best Take-Out from theOrlando Sentinel, the 2016 Best of South Florida Award for Best Deli from the Sun Sentinel and ranked eighth in the country for Family Dining by Consumer Reports.